$1,000 BEST BUY GIFT CARD WITH ACCEPTED FULL PRICE OFFER. USE THIS GIFT CARD TO OUTFIT YOUR HOME WITH STATE-OF-THE-ART ELECTRONICS OR TREAT YOURSELF TO A NEW WASHER AND DRYER! COMPLETELY RENOVATED RANCHER IN THE QUIET FORDHAM NEIGHBORHOOD. 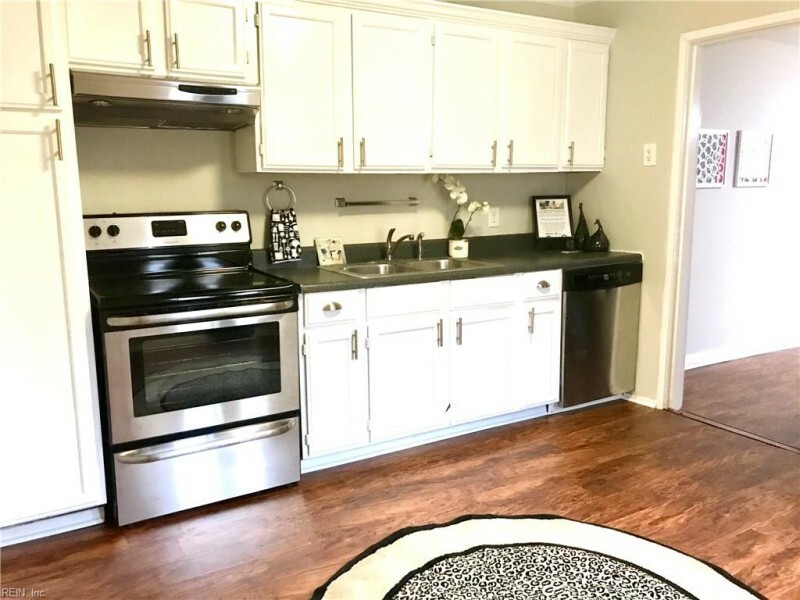 THIS TURN KEY HOME BOASTS MANY UPGRADES TO INCLUDE UPDATED KITCHEN CABINETS AND STAINLESS STEEL APPLIANCES, UPGRADED WINDOWS, UPDATED BATH, NEW FLOORING AND FRESH PAINT. Ready to visit 419 Smiley? Request a free property tour! Send me more information about the listing at 419 Smiley, Hampton, VA 23663, MLS# 10239923. This 3 bedroom, 1 bathroom home located at 419 Smiley, Hampton, VA 23663 has approximately 975 square feet. It is currently listed for $127,800 and has a price per sqft of $13,108. This home is currently Active under the MLS#: 10239923. This listing is provided by EXIT Realty Central. 419 Smiley Road, Hampton was built in 1954. It has Off Street, Driveway Spc, Street parking.The kitchen includes Dishwasher, Dryer Hookup, Elec Range, Refrigerator, Washer Hookup. 419 Smiley is part of the Fordham neighborhood located in 23663.